Here are some fun facts about Windermere. Some that you may already know, while others you may not. How did Windermere get its name? Windermere is Lake Districts only Lake. Hole in t’Wall really does have a hole in the wall! Lake Windermere froze over in 1895. In 1930 Windermere hosted a world speed record. There’s an annual stone skimming event! 2017 Windermere became a heritage site. Its name comes in two parts, “Winder” is a derivative of the Norse name Vinandr. While “mere” is an Old English Word for a body of water. There’s a lot to be said in a name, with previous spellings including “Wynhendermere” and “Winandermere”. The term “Mere” is the consistency within the spelling of Lake Windermere. After all, it is the only Lake in the Lake District, so earns the right to acknowledged as one of the more important bodies of water. One of the most popular pubs in Windermere, Hole in t’Wall, has an intriguing story behind its name. Although a traditional pub name across the UK, this particular bar in Windermere is called as such for a genuine reason. When it was first opened, a gap in the brickwork allowed the barman to pass a pint through to the blacksmith hard at work next door. During 1895 Lake Windermere was frozen for 6 weeks, making it possible to walk from one side to the other. Although the great Lake has since become frozen a couple of times since (the last being 1963), the great freeze of 1895 was certainly the most memorable. In 1930 Henry Segrave took to Lake Windermere to break the world water speed record aboard Miss England II. While the world speed record has since been beaten many a time, Windermere still plays an important role in speed records. Most recently, when Jaguar broke the electric water record on Coniston water in association with Windermere sailing club. If you fancy attempting your own world record during your break in Windermere, you can always try stone skimming. At the 10th annual event, Alex Lewis broke the current record by an amazing 7 metres. Although this particular fact isn’t exclusive to Windermere, it is an important modern-day fact relating to all of the Lake District. In fact, it’s hard to believe that it was only as recent as 2017 that Cumbria’s Lake District was finally declared a World Heritage Site. 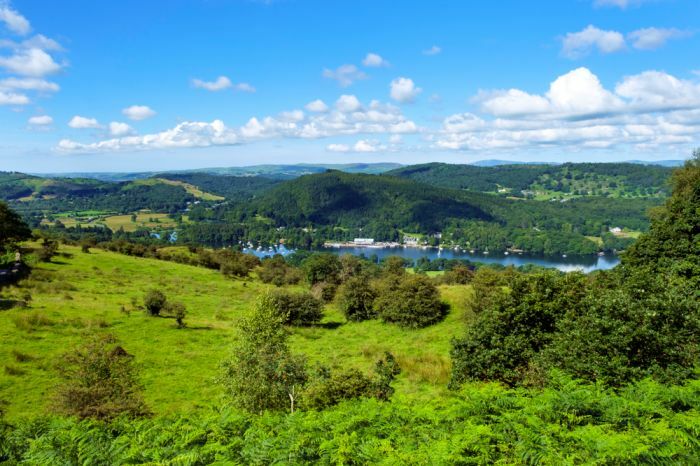 If you wish to discover some fun facts about Windermere for yourself, book a package break in Windermere. Stay in one of our Windermere Boutique Spa Suites and enjoy a choice of 3 rooms all with their own hot tub. During your package break in Windermere, you can also make the most of the facilities at Aphrodites Spa Hotel.